Quora is very popular platforms for an answer any questions. So many people use Quora for asking questions. There have different categories of Quora topics. So many quality people are ready to answer your question. Because this platform is very popular and crowd platforms, so you can use this platform for increasing website traffic. Since I was in Quora from 2014, I only read people questions and answers till 2017. Now I try to answer quality answer. I increase my website traffic by Quora. 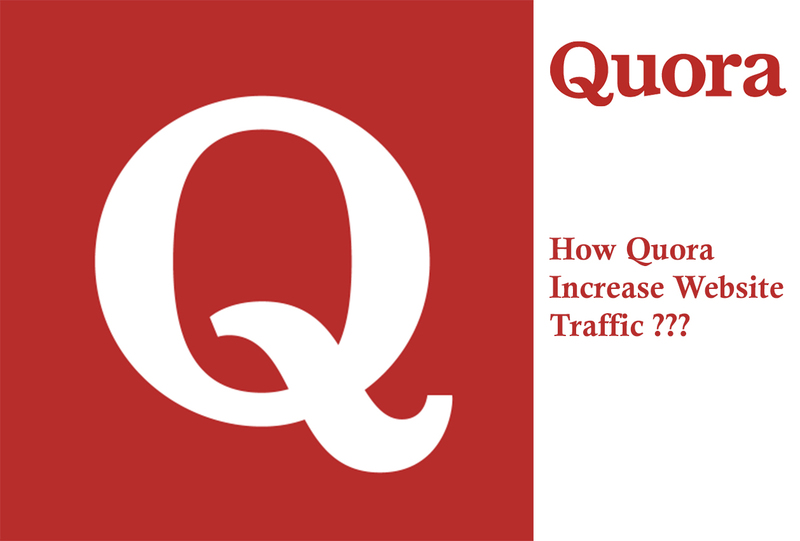 Here I research about how to increase website traffic by Quora and write a post on it. Yeah, a good answer is rapid to increase website traffic. You see so many people in Quora answer very low quality. They got few views on their post. Besides this, those people who make quality answer, they get more views on their answer. Supposed a person ask about how to increase website traffic?? You answer his question and give your blog links in reference details. When a viewers read a quality answer, they also try to find out more details by clicking on your blog links. Your answer Quora is a long time sustain in Google search engine. So when a new visitors see your answer on Quora got more views and up-vote, they will trust your answer and go to your blog links. 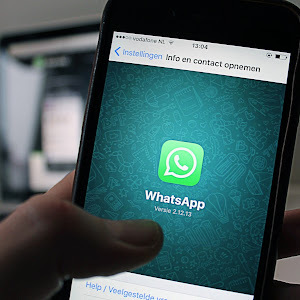 So good answer will increase website traffic. Quality questions also got huge views. So asking the quality question is very important. People use the trick for asking questions for driving website traffic. They also answer his question below questions. Supposed you want to know about how to increase website traffic ?? So ask a question related with how to increase website traffic?? Now make an answer below your questions. Must be answered with quality information. Some Quora member repeatedly writes an answer. When visitors understand your fake strategy they will avoid your answer in future. Frequently writings answer also helps to increase website traffic. Because more answer increases your followers on Quora. So when you make answer with your blog links reference, visitors will drive more to your blog and increase website traffic. My followers were increasing very rapidly when I answer so many questions every day. So my answer will get more views and increase website traffic very rapidly. 4. Requests for review your blog. So many Quora member drive traffic to their website by using this trick. Quora have millions of register members. When you ask questions to review your website and give you suggestions about how to increase website traffic to your blog. You see so many people will visit your blog regularly and increase website traffic very rapidly. You can do this trick every week. Do not violate any rules. Because repeatedly doing any illegal activity is a chance to banned from Quora community. So by requesting website review will increase website traffic. You need to write on some specific niche. So Quora member will think that you are specialists on this topic. I personally write on blogging, Google Adsense, Google products and online income. So the Quora member will request me to answer their questions on Google Adsense, Google products, and online income. I got huge returning visitors in my blog from Quora community. Because I personally suggest some blogger develop their blog. They are my regular visitors. So writing specific niche will increase website traffic. This step is very sensitive. You ask your viewers to follow your link for more details. Supposed you write about how to increase website traffic, and give full details with your blog links reference. Now tell your viewers to visit your blog for more details. You can also ask your viewers to follow your profile for more information on this topic. For increasing followers, you can follow more Quora member. 20% of following members will follow back your profile. Quora have the option to share any questions and answer. So many people are asking about the various question on Quora. So when your answer got so many upvote and views on Quora, you can share your questions or answer for increasing viewers. 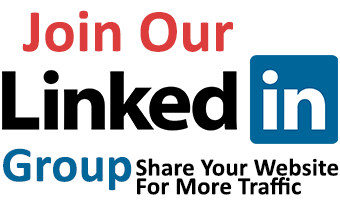 You can share your questions on Facebook, Twitter or Google Plus group. When more your questions or answer got more views, your website traffic will increase automatically. Quora have the option to add your blog links as a reference. Supposed you write the answer on how to increase website traffic on Quora. So when you write answer put a link to your blog to read more. But you have to do this with very carefully. Because Quora can remove your answer if they think that you share the irrelevant answer with blog links. Quora try to make clear platforms for asking questions and answers from experts. No spamming will allow in Quora community. 7. Add your blog links on biography. Your biography playing a vital role in driving website traffic from Quora community. When you make a quality answer or ask a quality question, they will see your blog links from the biography. 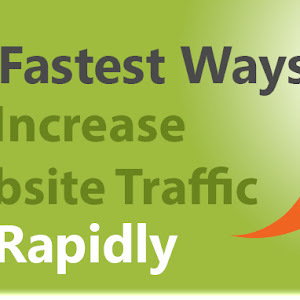 So website visitors will increase very rapidly. You can also add some of your best answer in Quora community. So the visitors will think you are quality writers on Quora. So adding your blog links on Quora biography will increase website traffic. 8. Share your short biography end of every answer. On every post, you can add a short biography end of every answer. Supposed you write about blogging and earning. So when visitors read your answer, they will visit your blog links. This biography may be your good answer on Quora. So many Quora member use this trick for increasing website traffic. Do not write a big biography. Because visitors think that you try to drive them your blog. Hey SHAFIULLAH, you write just awesome post About Quora. Recently I use Quora for increasing my website traffic. I got full details from your article. Hello denial, thanks for your comments. I am inspired by your comments for more writing. Thanks again. Stay with us. Thanks for sharing awesome article. Before reading your blog, I have no idea about Quora platforms. Your blog give me full data. Hello Arno, it's my pleasure that you again comments on my blog. Hope I get some suggestions from you. Hello SHAFIULLAH, I am from Hong Kong. I regularly visit your blog. Thanks for sharing details about how to increase website traffic by Quora. I will try this techniques on my blog. Hello TORI, you are very strong writers I know. I also visit your blog. Hope to stay with blogpairs.